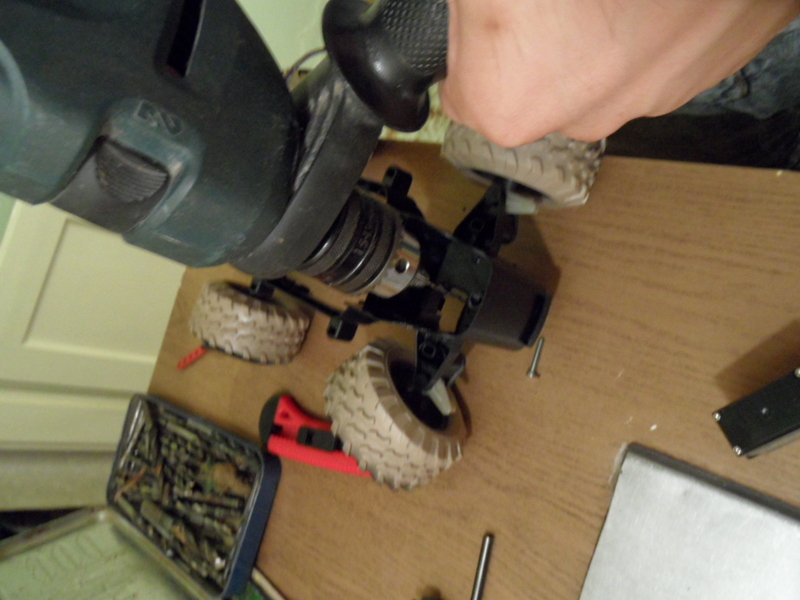 A small project transforming a cheap RC car into a robot rover! When I bought the BeagleBone it didn’t have PWM support. It was disabled for some reason by default. Luckily in the latest kernel they put it back. The minimal kernel for PWM is: Angstrom v2012.03-core – Kernel 3.2.5+ . Which has a 3.2.18 version kernel. This is optional, but you can update to the newest version. Continuing yesterday’s work Árpi moved out to do some shopping for heat-sensors and a wifi-stick for the BeagleBone. I did some the code for the Arduino which is basically a command interpreter based on the code of the OpenROV project. We successfully mounted the servo motor that does the steering and experimented with drilling an extra hole into one of those metal builder parts to shorten the steering axis – no good yet.